The Volta is a battery-powered vaporizer produced by VaporGenie. 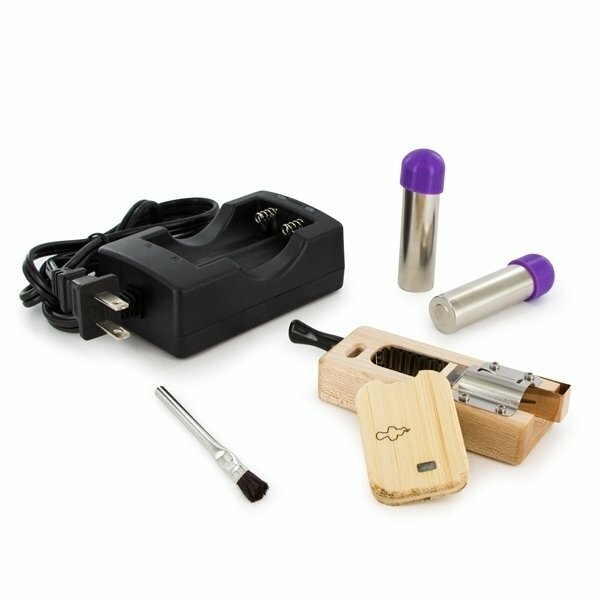 The Volta has a powerful LiFePO battery that provides power to the heating chamber; it is powerful enough to heat the herbs to vaporization temperature in 5-15 seconds. 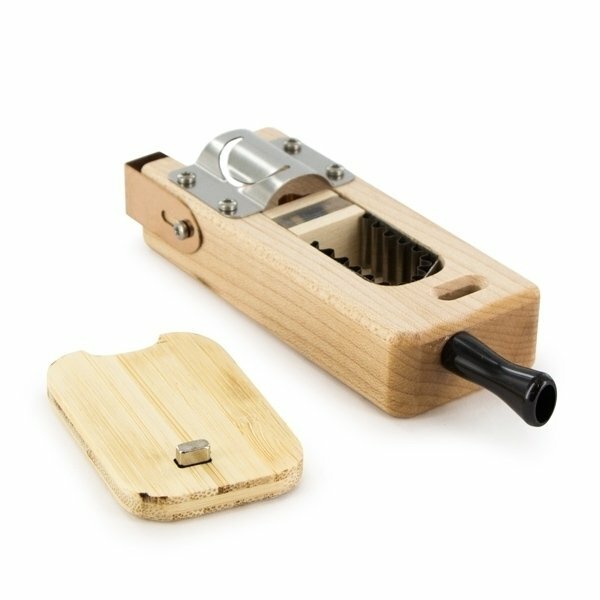 The Volta body is made of waxed hard maple wood - the cover consists of bamboo. 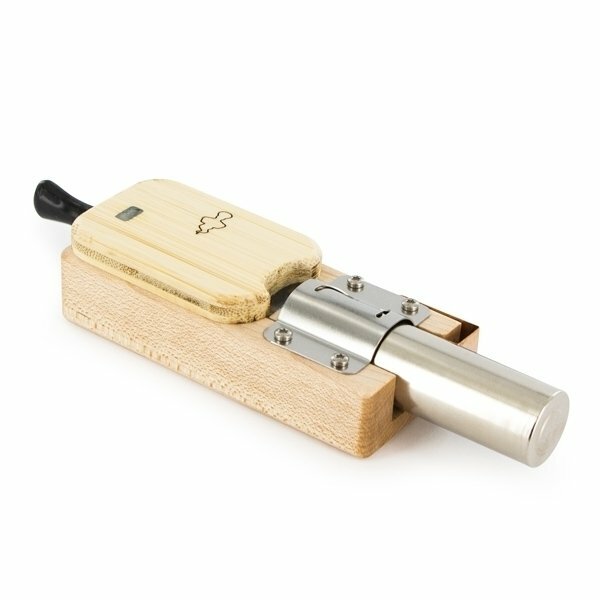 The Volta is a battery-powered vaporizer produced by VaporGenie. 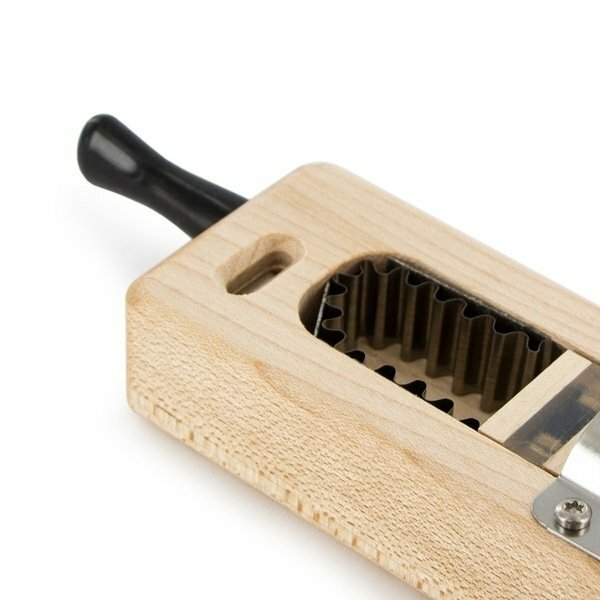 The Volta is powered by a single powerful LiFePO battery that provides power to the heating element; it is powerful enough to heat the herbs in the chamber to vaporization temperature within only 5-15 seconds. The Volta body is made of waxed hard maple wood - the cover consists of bamboo. The heat application is controlled by a manual pushbutton switch. The battery used is a 18650 lithium-iron phosphate (LiFePO) battery. It must be charged with the included LiFePO charger. The batteries will last a very long time, provided they are not completely discharged - the LED indicator turns RED when the battery is 95% discharged; stop using the Volta then and recharge it. A completely discharged battery will take a little under 2 hours to fully recharge. 1. Fill the herb chamber about ¼-½ full with ground herbs. Do not completely fill the chamber as this will prevent proper function. 2. Hold the Volta so that the bamboo cover is vertical and not pointing upwards and the herbs are resting on top of the heating element. 3. Press and hold the pushbutton switch. The LED indicator light will turn GREEN, which indicates that the heating element is heating up. 4. 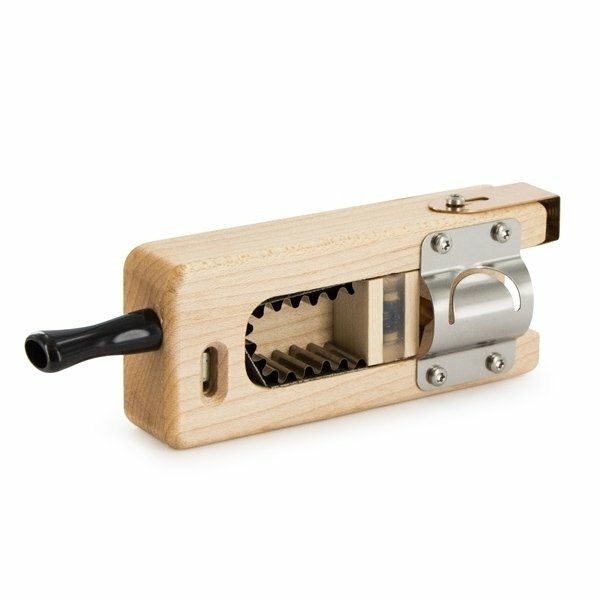 Shake the Volta while heating to circulate the air and herb in the heating chamber - this assures uniform heating. Shake every few seconds while keeping the switch pressed. 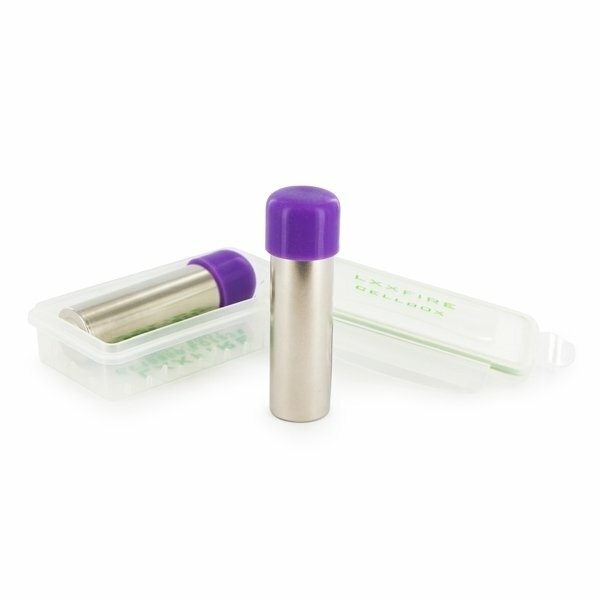 It will take about 5-15 seconds for the heating element to heat up to vaporization temperature. 5. Release the switch and inhale slowly. Do not inhale during the heating process. Nous avons offert ce Vapo a un ami, et après un temps d'adaptation assez court, il semble très content. Cela faisait un moment qu'il désirai s'en acheter un. Fini de se caillai dehors pour ne pas incommoder les gens. Le Vapo c'est la liberté.